Echo is about 8 years old and housemate Milo is a little older, being 9 years old. They came into CPL care when their owners moved and couldn’t take them along. 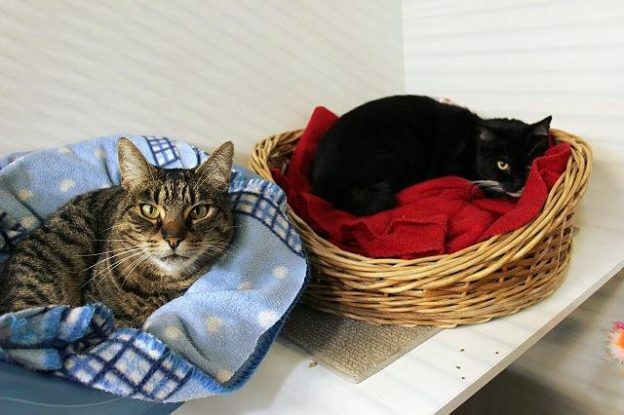 Tabby boy Echo and tuxedo boy Milo are both shy but loving once they get to know you. Echo is the more outgoing and he looks out for his less confident buddy, so we would like to rehome them as a pair. They will sit a quiet adult home where they are the only pets, and a patient new owner who is happy to let them settle in their own time and who can make sure Milo gets his share of the food!.